In the past years these Google Guidelines have always been leaked. Probably that’s why Google decided in 2015 to simply publish them themselves. Officially Google explained this new openness by saying that a lot has changed on the web since 2013, namely by the increasingly used mobile search. 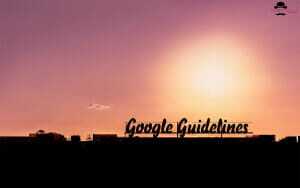 The Google Guidelines are also supposed to highlight to web masters and anyone interested which standards Google uses to assess websites. Since these criteria are always changing, the Google Guidelines can only be perceived as a working paper. You shouldn’t suspect any legislation behind the paper, but simply something from which you can learn how Google thinks. 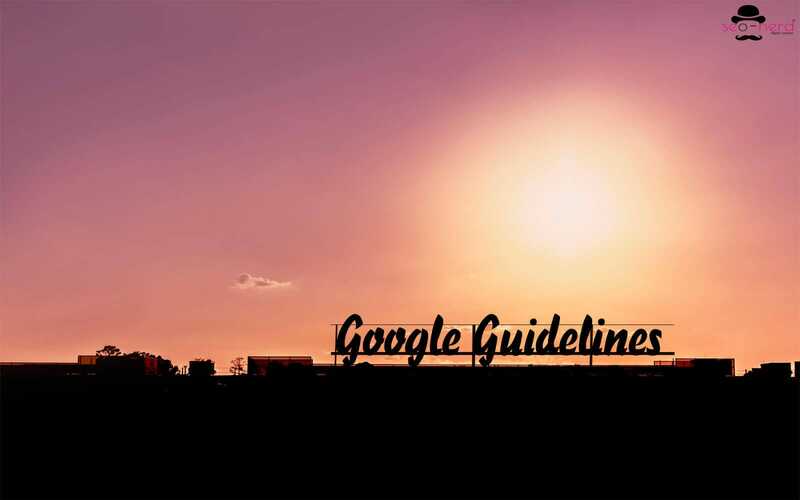 The link to download the PDF including the text of the Google Guidelines (in English) you can find at the bottom of the page. A short overview of the content follows. The seo-nerd and his team of the Berliner SEO agency has summarised some quotations as SEO tips gathered from the Google Guidelines. The most important criterion for Google’s categorisation of high-quality and low- quality sites is the usefulness for users. Google accuses website owners of following certain intentions on their sites. Special cases are sites according to Google Guidelines that are described as “YMYL pages”. The abbreviation stands for “Your money or your life”. Sites are meant that aim to influence users’ health, happiness, and wellbeing. Examples for that are sites that do money transfers (e.g. online banking), sites with information about finance, medicine, and health, as well as legal advice. All criteria are more condensed in these topics / sites than usual. For receiving a good ranking, requirements are particularly high. SEO tip: Check your homepage and all sub-pages from the users’ point of view. Which use do the sites have? More on this subject we have summarised for you on SXO and SEO 3.0. The Quality Raters are asked to inform themselves about the reputation of sites pretty elaborately. Assessing whether it is clear what the site is about is one part of that; a real address is required for that. A missing email address is already suspicious to the Google Guidelines. It is stated explicitly that it should be possible for users to contact the website owners. Furthermore the raters should investigate what other users think about the site. They are allowed to consult anything they find for this – blogs, Wikipedia, forums, news articles etc. You need to be careful with ratings of shop systems. With them the number is not as important but the warning signals such as hints for irregularities in the payment transactions or in the delivery of goods. The example demonstrates that it is pretty much useless to only tweak a bit in OnPage SEO and OffPage SEO. Once more Google emphasises in this framework how much it appreciates Wikipedia. If the raters find a cue in the online encyclopaedia they should take it seriously. An entry in Wikipedia only big companies receive, however, and those that have a high relevance in the branch backed up by several sources. From a marketing viewpoint, Wikipedia articles can be quite problematic. Companies can only indirectly influence the articles. Even untruths can often only get rid of with a lot of effort. SEO tip: SEO should be considered a part of online marketing and never isolated. Do, for instance, also recommendation marketing therefore. One possibility for that offers ProvenExpert. These three criteria are also shortened to “E-A-T”. It stands or “expertise, authority and trustworthiness”. Expertise shows itself simply in how well and thoroughly a subject is reported on. If you give guitar playing tutorials you should be able to play the guitar yourself. So that this doesn’t remain only an assertion it is helpful to build up. Authority for the chosen topic. In marketing speech: do everything to become a brand. Trustworthiness. Amplify that you’re not a boaster, but stand up for what you’re doing on your site with heart and mind. In the easiest way you tell about yourself on an “about” site and let your references speak for yourself. Besides these conditions bound to the contents, the Google Guidelines name good user leadership, contact and service data as well as a website with a well- maintained impression. For high quality content, Google lists the criteria: time, effort, expertise and talent or skills. Google likes to see, by the way, when supplementary content is added to the main content. This supplementary content increases particularly the usability of sites. They are supposed to highlight the true purpose of the site. On product sites the supplementary content is for instance given in a visible shopping bag or other similar products as the just displayed one. SEO tip: Structure your sites according to the “E-A-T” model. Basically, everything that does not follow the E-A-T model leads to devaluation by Google. Missing expertise, authority and a lack of trustworthiness hence are criteria that are warning signals for sites of low quality according to Google. The grammar and spelling should be correct in texts therefore. Is the text is well- structured and does it have a good build-up? Are there strong points? But also: what impression does the site make? Who wants to inform themselves on financial issues if there are dirty advertisements flashing? Cue: Design. The content of importance for the user should be recognisable at first glance on the site. Too big adverts, a header or footer taking too much space are regarded as not very user-friendly. If details in the footer seems weird or don’t make sense (wrong address etc.) a bad evaluation can also be expected. Sites that only have the purpose to rip people off, they fail the criteria of Google Guidelines self-evidently. Not as bad but close to this Google also puts links that only aim to lead search engines into a “trap”. Meant are links that don’t have reasonable content, can’t even be understood and blatantly only serve the purpose to generate traffic or link to sites likes Amazon or eBay as it is the case with affiliate sites. SEO tip: Avoid too many adverts on your website that make the impression you only want to make money with advertising. The design should be chosen in a way that makes it easy for the user to go through your products or other content on your site. Putting a text with just mundane content on your site is not enough. Texts should always have an added value for users. In the best case, users know more than before after reading it. Pretty much the same applies to videos and pictures. Automatically generated or simply copied material is an absolute no-go for Google. The most important reason for is just: unique content is lacking. If you don’t have anything special to offer Google gets no chance to give you a good evaluation. Not to make any “mistakes” is a necessary but not sufficient precondition to prove oneself with Google. Google instructs their raters explicitly that smartphone users often have different needs than other persons that sit in front of a desktop computer. The evaluation system for mobile offers runs over meeting those needs. What the need of a request is naturally depends on the user’s intention. Google thus checks the location of the request first. Especially when searching on mobile Google assumes that in most cases only the nearest pizza restaurant is searched (and a pizza recipe wouldn’t meet the intention). On the other site the time of the search request plays a role. Recent events such as a storm, the new iPhone model or anything relevant in terms of news are considered for replying the search query. It is annoying for website owners that many of these needs are fulfilled already by a knowledge graph, according to Google Guidelines. If a museum is requested for example, Google assumes that most users are happy with just receiving the address and potentially the opening times. As much as the needs of desktop and mobile users differ, no real differences result from them for website owners. Provided that the website is mobile-friendly, the demands of the E-A-T model also count for mobile users: Expertise, Authority and Trustworthiness. mobile devices users are grateful for additional information and can decide easier if your site offers what they’re looking for.